To make the meatballs, preheat the oven to 375ºF (190ºC). Oil a baking sheet. In a small bowl, combine the coriander, cumin, curry powder, oregano, thyme, mustard, chili powder, and cinnamon. Stir in 1/2 teaspoon salt. Add the lamb and tomato paste and mix to combine with your hands. 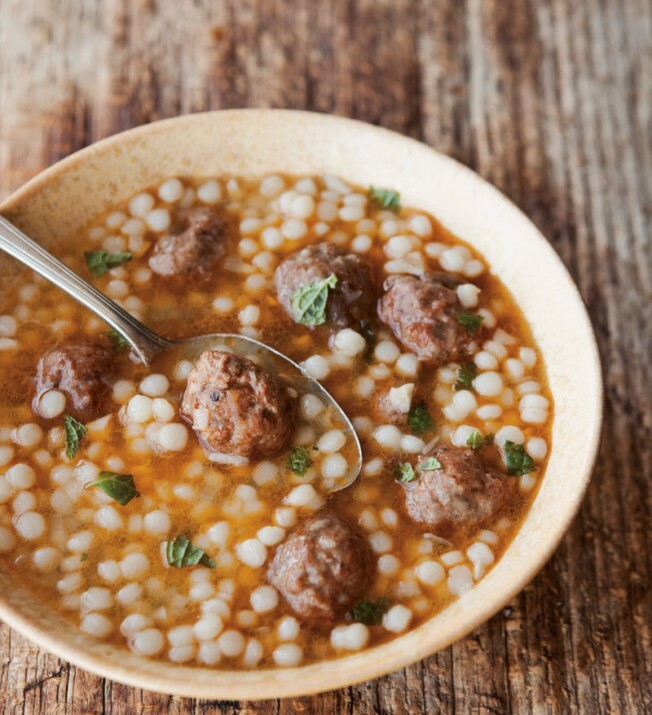 For each meatball, scoop up 1 teaspoon of the lamb mixture, form into a meatball, and place on the prepared pan. Bake until the meatballs are cooked through, about 10 minutes. In a small saucepan, bring 1 1/4 cups (10 fl. oz./310 ml.) water to a boil over high heat. Add the couscous, reduce the heat to low, cover, and cook until all the liquid is absorbed, 8-10 minutes. Meanwhile, in a large, heavy pot, warm the oil over medium-high heat. Add the shallots and garlic and saute for 1 minute. Add the broth and bring to a boil. 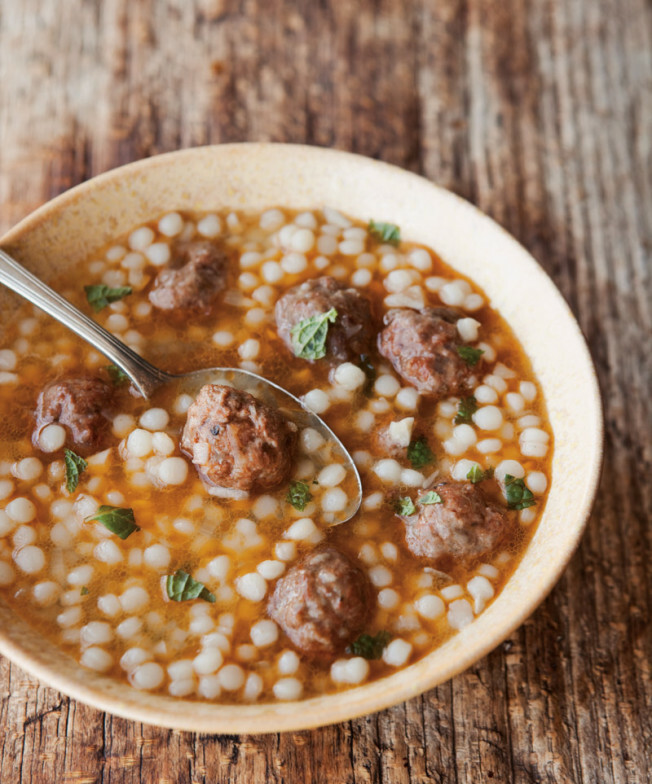 Reduce the heat to low and add the meatballs and couscous and simmer for 10 minutes. Remove from the heat. Stir in the mint, season with salt and pepper, and serve. Serves 4-6.